Item # 305042 Stash Points: 3,495 (?) This is the number of points you get in The Zumiez Stash for purchasing this item. Stash points are redeemable for exclusive rewards only available to Zumiez Stash members. To redeem your points check out the rewards catalog on thestash.zumiez.com. 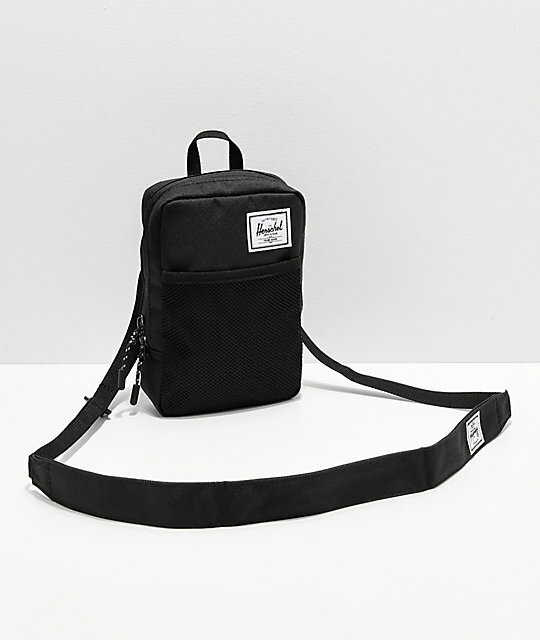 Prepare yourself for the day, or an epic adventure, with the Sinclair Large 1.5L Black Shoulder Bag from Herschel Supply Co. 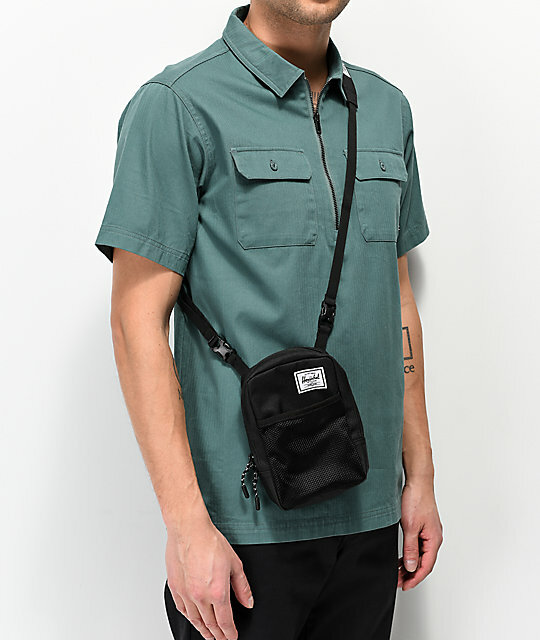 This low-profile Shoulder bag features two interior pockets, a mesh pocket at the exterior, and a two-way zip closure for safe-keeping. 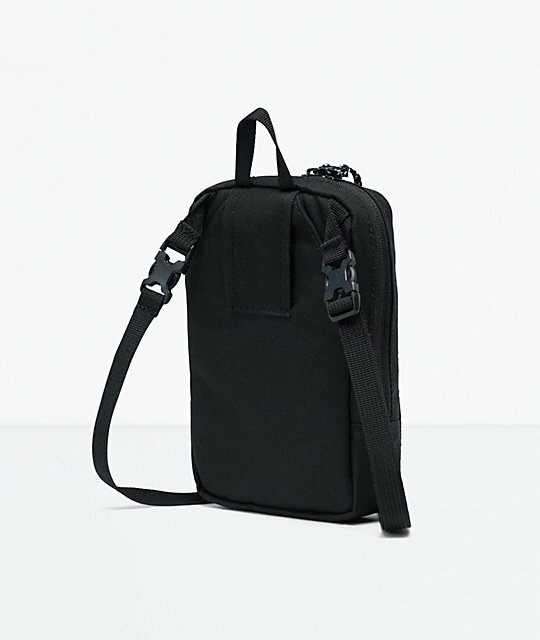 A top haul handle and adjustable straps with buckles are added, making the Sinclair bag an easy choice for carrying your everyday essentials. 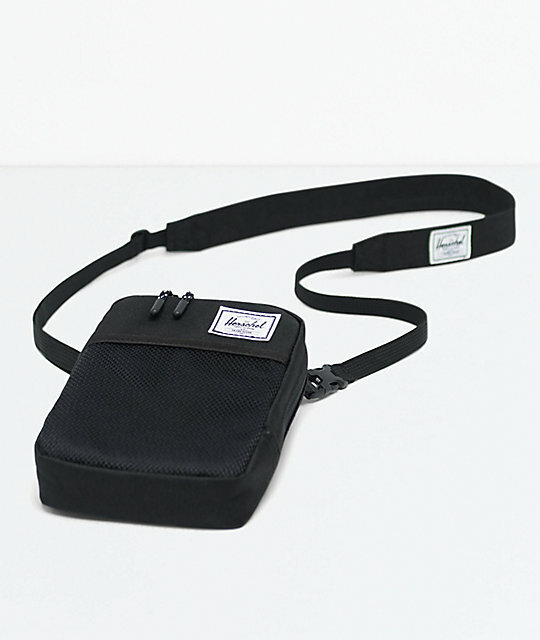 Sinclair Large 1.5L Black Shoulder Bag from Herschel Supply Co.
Main compartment with two organizer pockets & red and white pinstripe lining. Utility belt loop on back. 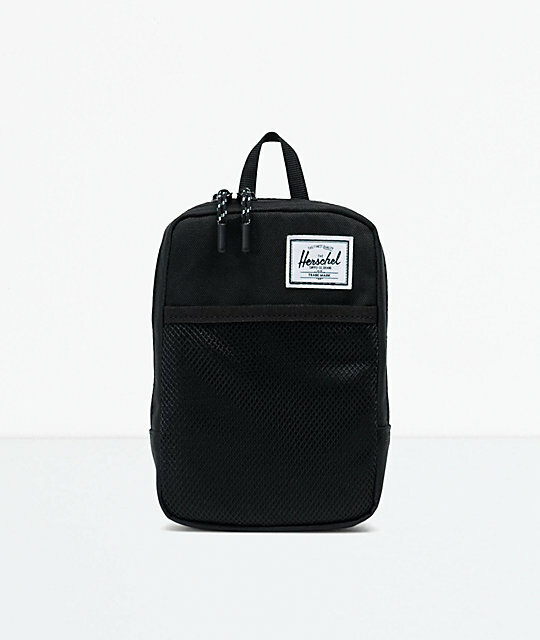 Herschel Supply logo patch on the front. 7.5"(19cm) (H) x 5" (13cm) (W) x 1.75" (4.5cm) (D). Limited 1 Year Warranty against Defects in Materials and Workmanship.